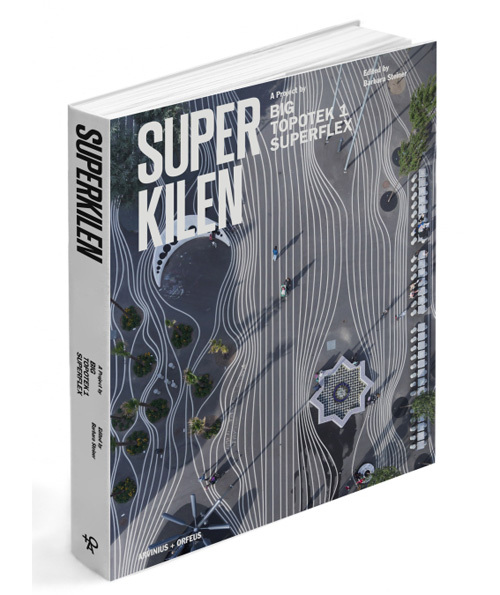 The book SUPERKILEN celebrates the dawn of a new type of urban public space. 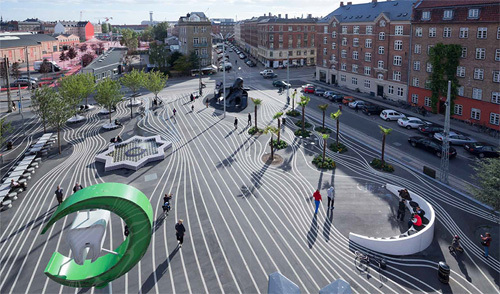 Superkilen, designed by BIG, is a kilometer long urban space wedging through one of the most ethnically diverse and socially challenged neighborhoods in Denmark. 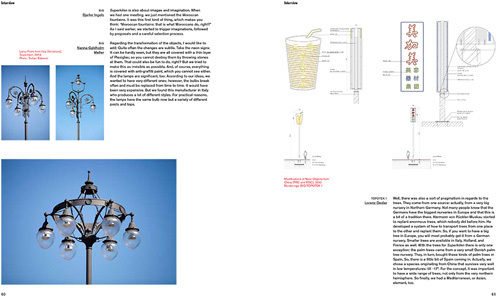 It has one overarching idea; that it is conceived as a giant exhibition of urban best practice. A sort of collection of global found objects from 60 different nationalities - the 60 nationalities of the people inhabiting the area surrounding it - ranging from exercise gear from muscle beach LA to sewage drains from Israel, palm trees from china and neon signs from Qatar and Russia. A sort of surrealist collection of global urban diversity that in fact reflects the true nature of the local neighborhood - rather than perpetuating a petrified image of homogenous Denmark. 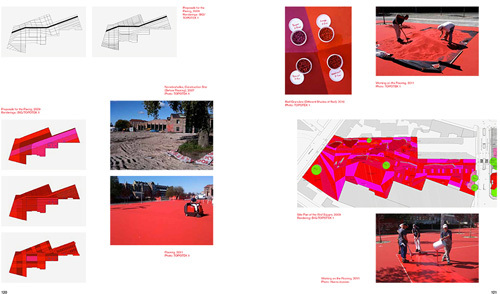 Superkilen is a vehicle for integration enforcing local sentiments of ownership, while turning public participation into the driving force of design. Superkilen has received unparalleled international recognition having been a finalist for the prestigious Mies van der Rohe Award & ULI Award of Excellence as well as receiving the Red Dot Best of the Best Distinction, AIA Honor Award, Architect Magazine Urban Design Award, International Olympic Committee Gold Award, the BDLA Prize, Civic Trust Award, IEDC Excellence Award, ArchDaily Best Design Award and Architizer A+ Award. 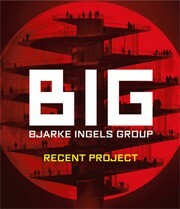 The book’s authors are BIG, Topotek 1 and Superflex in collaboration with editor Barbara Steiner. Barbara Steiner is an internationally recognized curator and author, currently working on a collaborative art project about Europe. From 2001 to 2010 she was the director of the Galerie für Zeit-genössische Kunst Leipzig. 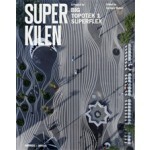 Editorial content includes edited text, as well as an interview between Steiner and the three authors of Superkilen. Their conversation focuses on the processes of selecting the objects found in Superkilen and their curatorial meaning. The book is designed by Rasmus Koch who has created the corporate identity for such prominent clients as Gyldendal, and has twice received the Danish Design Award. 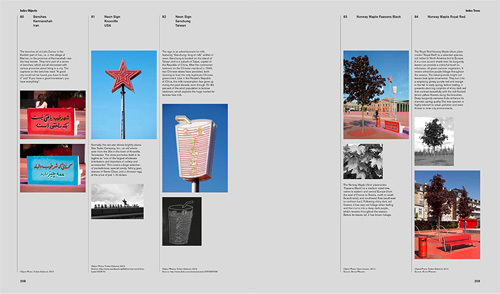 The park is documented primarily through the lens of Iwan Baan who is celebrated as one of the leading photographers of his generation in capturing the life in between spaces.